Deers of Richmond Park London (Photos & info) | QuantumPhoenix.net – Esoterica, Paganism & Ritual Magic. 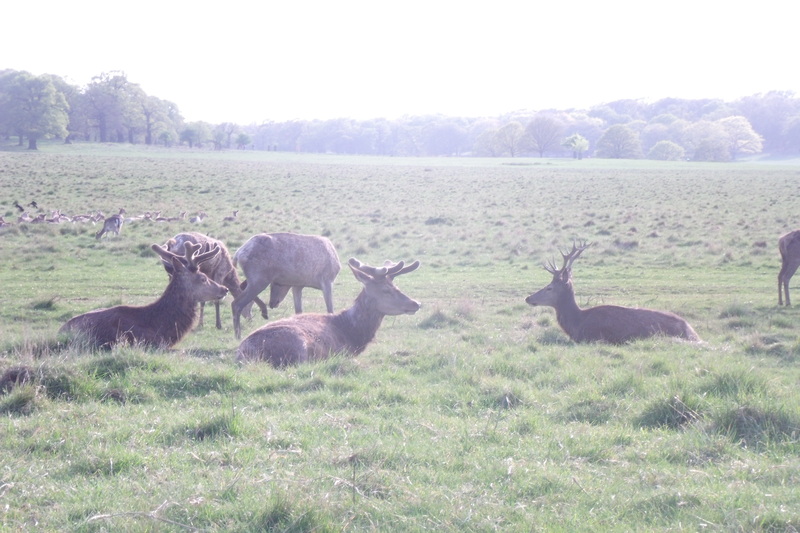 As a Pagan and one who magically attunes with the `Horned God’ energies (of Hern the Hunter, Cernnunos Lord of the Beasts/ animals), I often find it enjoyable to visit Richmond park, and just wander through – and observe the Deer. Granted they are in a managed park (Richmond is one of the Royal parks of London), the deer are free to roam and do what they like! 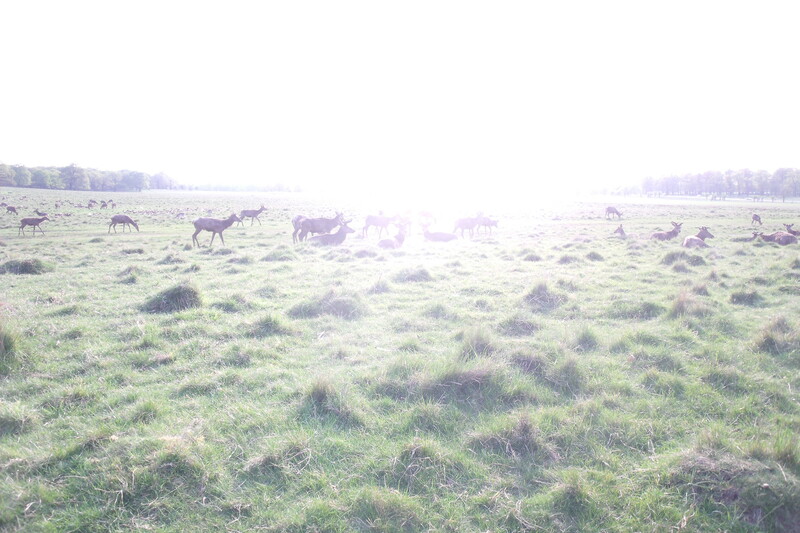 Here are some hi-resolution photos of the Deers of London’s Richmond Park – taken about a month ago, a few hours before sunset. In early Autumn (September and October) they begin their rutting – where male deer (Stags) begin their courting behaviour – first eating a lot in the weeks leading to this period, putting on a lot of body mass, and then herding and rounding up a large number of female deer to mate with (his Harem). 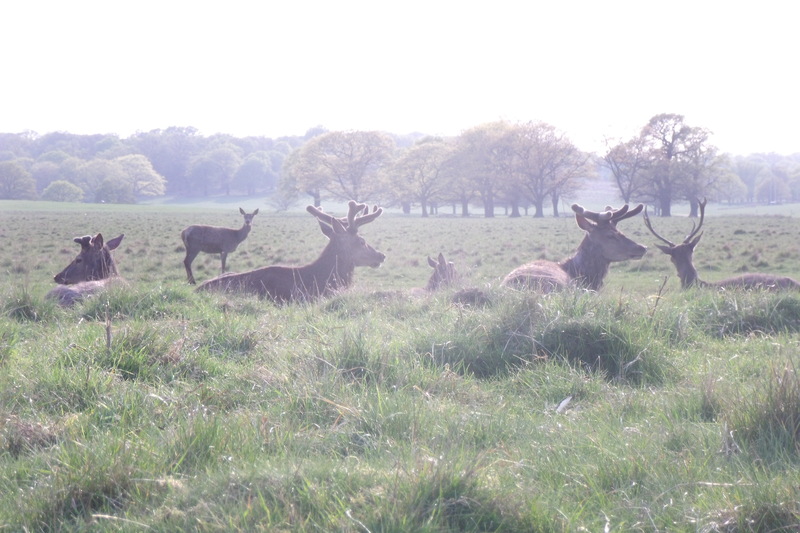 During this time, the Stags do become highly agitated and can charge at people or animals (dogs) if they go anywhere near the herd. It’s a pure and simple territorial act! In Richmond, towards the end of Autumn, planned and managed culling (killing) occurs – where Rangers and trained gunners select a percentage of deer to kill.. so that the park can continue to sustain the deer population. During the culling weeks, the park is closed early (culling takes place after hours!) People are not advised to be in the park lest they get shot by mistake! Richmond Park is in the South West part of London. There’s a main Railway station (Richmond) that has both british rail (from Clapham Junction take the trains towards Reading..) and also the underground tube trains (District line going from London Victoria station)). Once at Richmond station, come out, and within few steps, you’ll find bus stop (same side as station). Travel in bus for about 15 mins. Get out at `American University’ stop.